We scoured the ocean with Marlin and followed him on his adventure to find his son Nemo and with the help of Dory, Nemo was found and brought home. Pixar has kept us waiting and wanting more since Finding Nemo and finally after almost 13 years it's here. Finding Dory like finding Nemo brings with it a heartfelt story and the sense of adventure, which is what Pixar does best in all its stories. Now Marlin and Nemo must help Dory! Although Dory is very forgetful and has short term memory loss, one thing she does know is she was separated from her parents. Dory now sets out on an epic adventure to explore the big blue ocean, piecing together what she can remember to find her parents. What will she find along the way and will Marlin and Nemo be able to help? We'll have to watch to find out. Join Dory on her epic adventure and see what friends she makes along the way. With the new and highly anticipated Finding Dory film just hitting cinema's, the promise of adventure in the big blue sea has us excited and ready for the new instalment. We are sure this film will entice families, adults, and children into its wonder as Finding Nemo did. 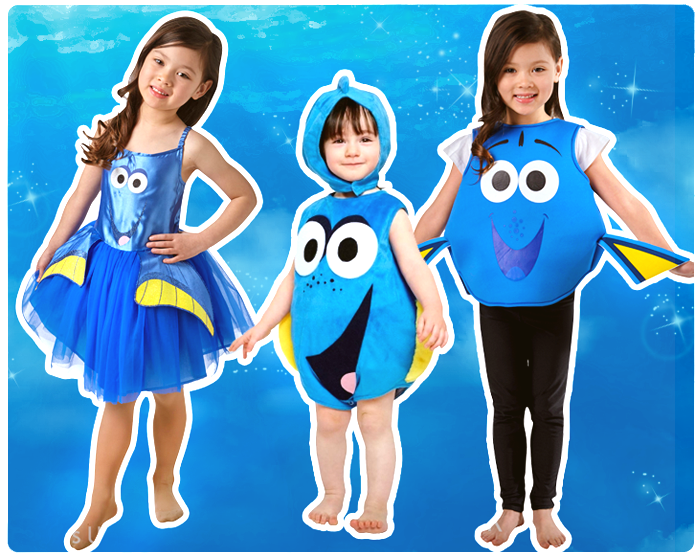 Now your little ones can join in the fun with our Finding Dory fancy dress costumes. From Nemo to Dory children get engrossed with excitement and wonderment for the epic adventures. All your little one needs to do is tell you if Dory or Nemo is their favourite. So come take a look and make the films come alive with one of our fabulous fancy dress outfits. Turn your child into Dory, the main fish of the film and let their imagination run wild as they go on their own little adventure, in one of our bright blue outfits. 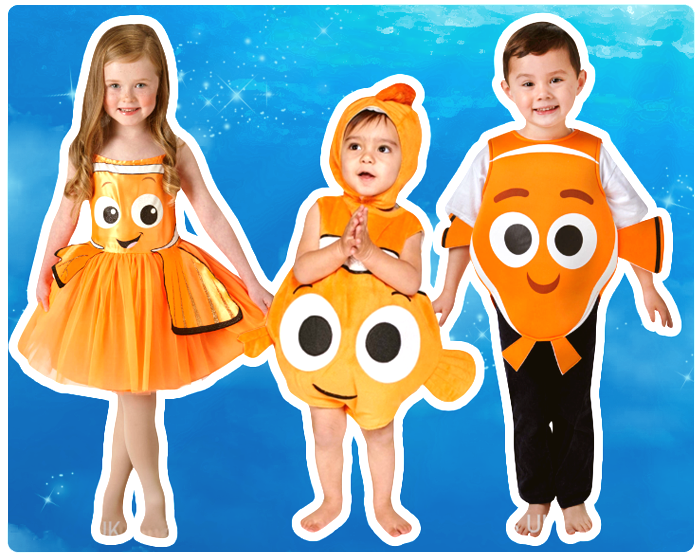 If your child wants to become Nemo, then we have that covered too with our choice of Nemo costumes. Perfect for turning your little one into the loveable orange clownfish. With these costumes, your little ones will be able to create their own adventure and have a whale of a time whilst doing it.